F. Darcy? Fitzwilliam Darcy, the fictional hero of Jane Austen's Pride and Predjudice? 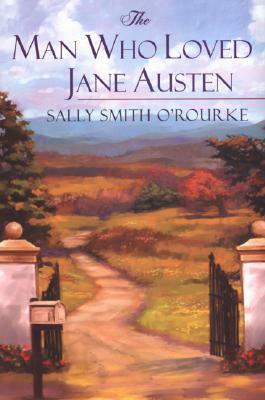 Even more mysterious was the other letter, sealed and never read--"from Jane to Darcy. Could this man, possibly the most romantic character ever written and the hero of Eliza's favorite novel, have been a real person? Eliza's initial guarded curiosity turns to astonishment as scientific testing confirms the sealed letter was indeed addressed by Jane Austen. But she is completely baffled by the revelation that the other letter, though proven to be form the same period--"was written by an American. Caught between the routine of her present life and the intrigue of those incredible discoveries from the past, Eliza decides to look deeper. Her research leads to a majestic 200-year-old estate in Virginia's breathtaking Shenandoah Valley where she meets the one man who may hold the answer. But he also has a secret, one he has kept hidden for years. Now, as the real story of Fitzwilliam Darcy unfolds, Eliza finds her life has become a modern-day romance, one that perhaps only Jane Austen herself could have eloquently written. 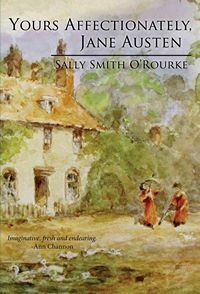 Sally Smith O'Rourke has offered up a prize pack of both THE MAN WHO LOVED JANE AUSTEN and YOURS AFFECTIONATELY, JANE AUSTEN for giveaway to one lucky Janeite! This giveaway is international, though please note, it is ebook or audiobook only outside the US; if the winner is from the States, they'll have their choice of format (ebook, audiobook, paperback). I don't know what I would do if I found myself in Regency England! Maybe search for toiletries? I completely agree! And a toothbrush! I'd go shopping for bonnets. Love all the bonnets. No idea! I guess I would hope for the perfect open-minded someone to come along and take pity on me. I've read the first 'The Man Who Loved Jane Austen' and look forward to reading 'Yours Affectionately'. I think I'd make sure I'd be able to get back to the present. look for MY Darcy!!! LOL!!!! If I could go back in time and return to the present, I'd snag Jane Austen's letters and journals before her sister burned them!